Seton's Floor Mats are backed by our 100% Satisfaction Guarantee! Select from a wide variety of Floor Mats at competitive prices. Plus most of our top-quality Floor Mats are in stock and ready to ship today. Seton provides a large offering of top-of-the-line anti-fatigue mats perfect for distribution, manufacturing, and retail facilities. 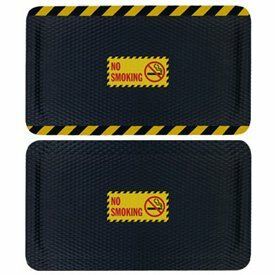 Hog Heaven™ mats are made from closed-cell, 20% recycled Nitrile Rubber cushion for comfort and safety.